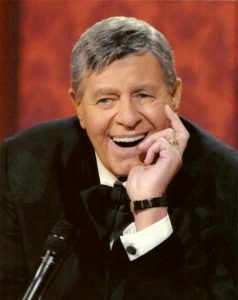 Jerry Lewis was an American comedian, actor, director as well as muscular dystrophy telethon host. He is known for his slapstick humor. He met Dean Martin in 1945 and the two formed the comedy team named Martin and Lewis. He was born on March 16, 1926 as Joseph Levitch in La Jolla, California, U.S.Newark, New Jersey to Russian Jewish parents. His father, Daniel Levitch, was a vaudeville entertainer and his mother, Rachel, was employed as the local radio station’s piano player. The legendary comedian died of natural causes Las Vegas, Nevada at age 91. *He received Lifetime Achievement Awards from the Los Angeles Film Critics Association, The American Comedy Awards, and the Venice Film Festival. *He was nominated for the Nobel Peace Prize in 1977 for his efforts on behalf of people with muscular dystrophy. *He met Albert Einstein when he was a teenager. *He gives away suits rather than having them cleaned. *He never wore the same socks twice.